The jitters when you get ready for the first date, the first kiss, your first fight, the first making up, moving in together, finding passion in the daily routine, a warm body to cuddle up to, jokes that only you understand, saying yes, buying a house together, arguing about the colour of the paint in the bedroom, the happiness of a growing family, planning time to see each other again in something other than your tracksuit bottoms and finally sitting together on the sofa, old and wrinkled and thinking 'wow, we made it '. Isn't that what we all dream of? We need more love Everybody. Time to take the (first) step. Does your crush not even know you exist? Have you been happily married for forty years? Or is the situation between you and your loved one very complicated? No matter what kind of love situation you find yourself in, there is always a suitable bouquet. 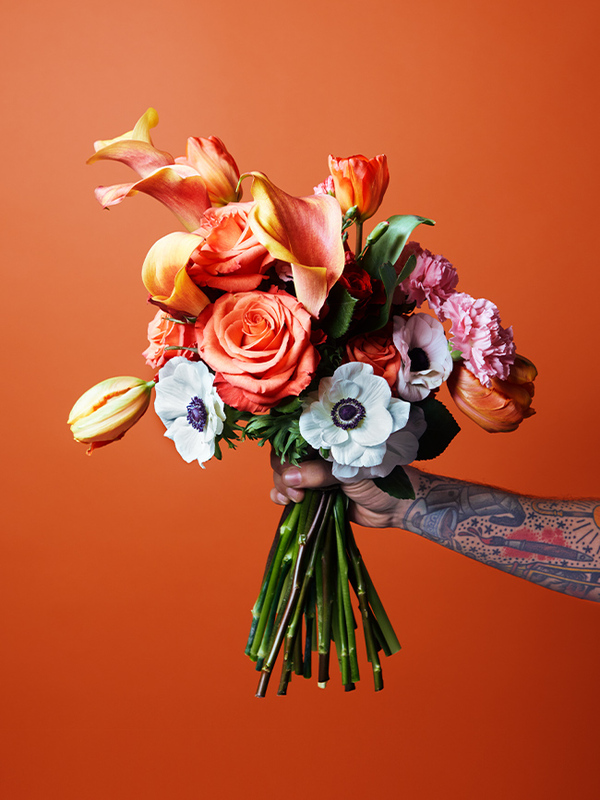 Make an unforgettable first impression with the 'first date bouquet'. Highlight your special bond with the 'true love bouquet' or tell someone how you feel about them using symbolism with the 'secret admirer bouquet'. Flowers make you happy. Hug your loved one and be swept off your feet by the beauty of flowers. Surprise him or her all day with pop-up flowers. Isn't it nice to get an unexpected surprise? Or is love starting to blossom? We have listed 5 'flirty flowers' for you. Would you rather do something fun with your friends? Get started with romantic DIYs. Broken heart? Relieve the pain with a lily plaster. Do you have any nice tips for a flower-filled Valentine's Day? Share them on our Facebook page or Instagram. We wish you a wonderful day together with your sweetheart! Did you know that you should give a pink rose or gardenia to someone you are secretly in love with? And that you emphasize the beauty of someone with an orchid or anthurium?